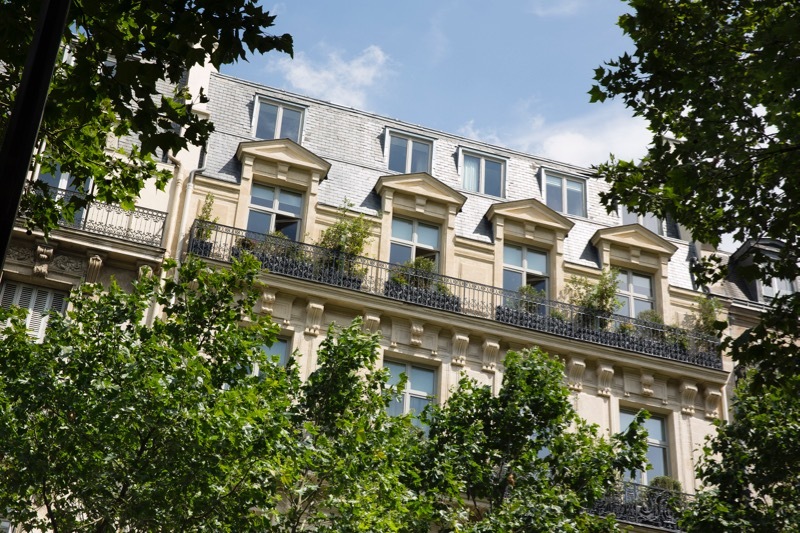 Le Narcisse Blanc hotel-spa, the quintessence of luxury nestling between the Ei el Tower and Les Invalides, is close to the storied banks of the Seine, with some of the most majestic buildings in Paris at its feet. The romantic lure of Cléo de Mérode has shaped the genius loci. 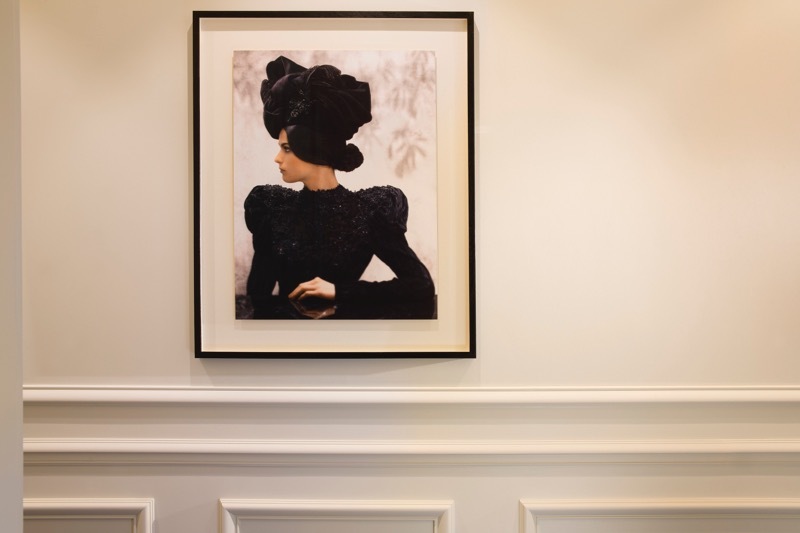 Cléo was a ballet dancer and the first photographic It Girl of the twentieth century, immortalised by none other than Nadar, Degas, Falguière and Proust, to name but a few. 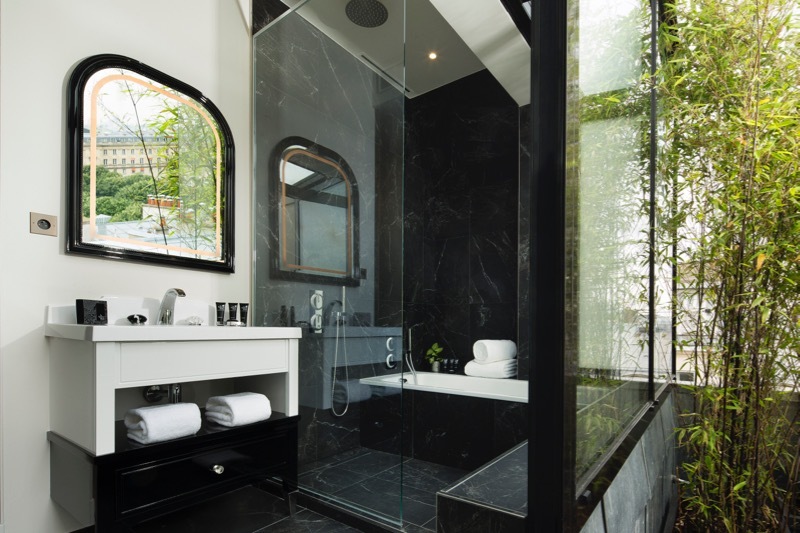 Hints of the mystery in which she shrouded her private life, and of her delicate free spirit, can be found throughout the hotel. Savour the height of glamour clothed in the nest fabrics, from tweed to velvet, duchesse satin, burnout, silk faille, and dappled rugs, all subtly combined in a couture mix of restful grey-beige, cream, champagne, sand, ash, and powdered rose. 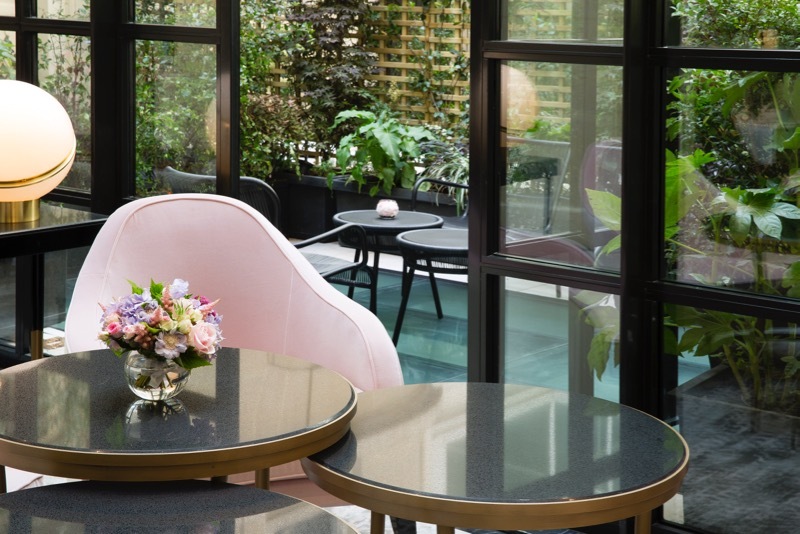 The owners turned to designers Laurent & Laurence, working with interior decorators Thierry Martin and Thibaut Fron, to bring Le Narcisse Blanc hotel-spa to full bloom. 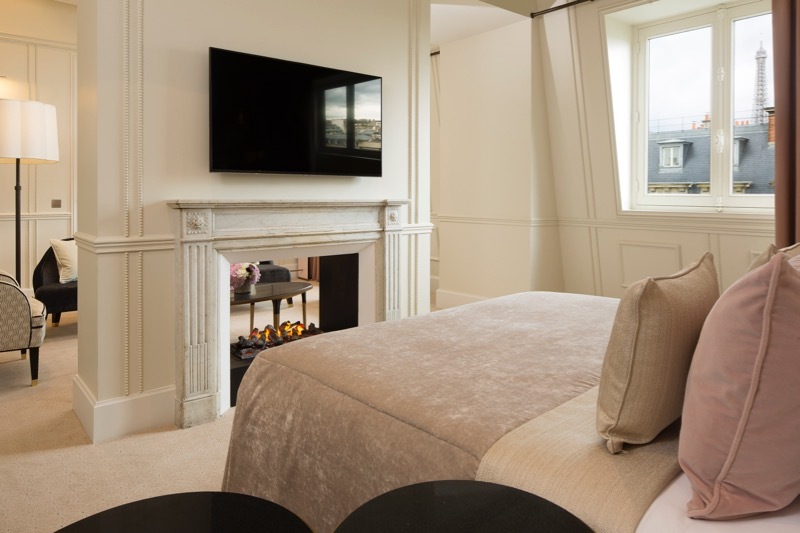 The quartet has created 37 spacious bedrooms, including seven suites, some with replaces, others giving on to their own terrace garden with breathtaking views of the City of Light. All rooms and suites are furnished with a distinctive, uncluttered classism in a refined colour scheme recreating an enlightened taste: here an armchair with distinctive Art Nouveau curves, there a Deco arabesque or the contemporary lines of a brass table lamp. 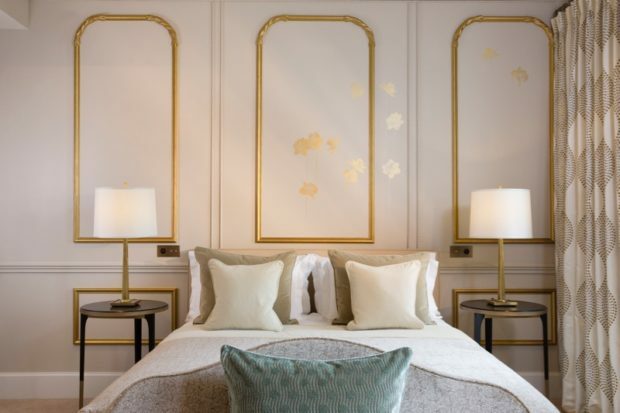 Elsewhere, you may come across the unexpected charm of a delicate pearl moulding, a cloud of narcissi, delicate scrolling. All is perfect harmony, everything is in the detail.